"You don't need to drive to Tahoe..."
...to experience chilly, wintry weather. Lincoln Park, situated on a hill, in the trees, next to the ocean, in San Francisco, will cover that for you quite nicely. This is one of the coldest places on the planet, perhaps because no one there is ever quite prepared for the chill, and the fog can coat it with an extra blanket of cool, moist air. But this park is also beautiful and completely uncrowded. There are hiking trails, a ropes course that can be operated through SF State University, and, of course, there is the ocean. 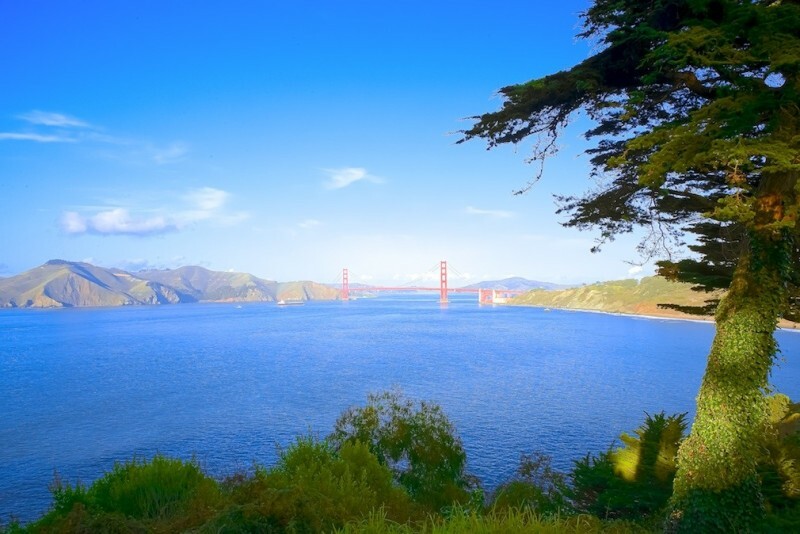 Plenty of beautiful, coastal ocean views that are characteristic of Northern California. So if you can brave the cold, this is a great place to come for a visit and enjoy having practically to yourself. "Home to the Legion of Honor"
No one really knows Lincoln Park itself, but rather for being the home of the California Palace of the Legion of Honor; the main reason why Lincoln gets so many visitors, especially from tourists. If you ride the 38 MUNI bus to the end of its Geary Boulevard route or are about to hop on the 18 MUNI bus, you’ll know what I’m talking about. 33rd Avenue and Geary Boulevard is where most tourists get off and make bus transfers in order to reach the California Palace of the Legion of Honor. And for local San Franciscans, don’t be afraid to help or talk to those who approach you with a San Francisco map asking you for directions, they’re mostly asking you the route towards the Legion of Honor. 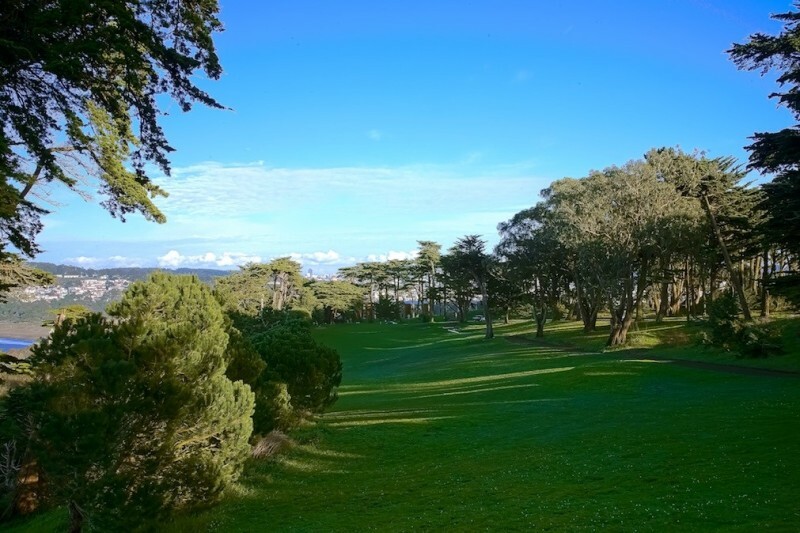 Honestly, there isn’t much to Lincoln Park except for the Legion of Honor, there is also a golf course though. And if you walk along the coast line you’ll get a great view of the waters, cliff, and even the Golden Gate Bridge. There is also a memorial site for the USS San Francisco naval cruiser. The Cliff House also lies on the outskirts of Lincoln Park, another great tourists attraction. "Cool things at the end of the Lincoln highway"
Lincoln Park is definitely one of the nicest neighborhoods in all of San Francisco. 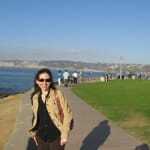 It is located North of Golden Gate Park on the water on the San Francisco Peninsula. This part of town includes the Palace of the Legion of Honor, which is a beautiful fine arts museum that sits on top of the hill. Even if you don’t have a chance to check out the art inside the museum, it is worth seeing the impressive exterior. There is also a big golf course fittingly enough called the Lincoln Park Golf Course. All the way back in 1917 this became an 18-hole golf course. It’s nice that this course isn’t completely exclusive. It is open to the public, but you just need to pay $170 a year as membership dues. 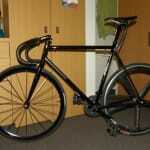 However, they say that they don’t exclude anyone as long as they can pay the fee. 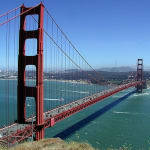 Golfers can see amazing views all around San Francisco, including the Golden Gate Bridge, downtown, and Twin Peaks. Even coyotes have been seen on this golf course! 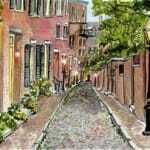 As far as entertainment, there isn’t too much in this area aside from the major attractions. You will need to travel to one of the surrounding areas for food and shopping. 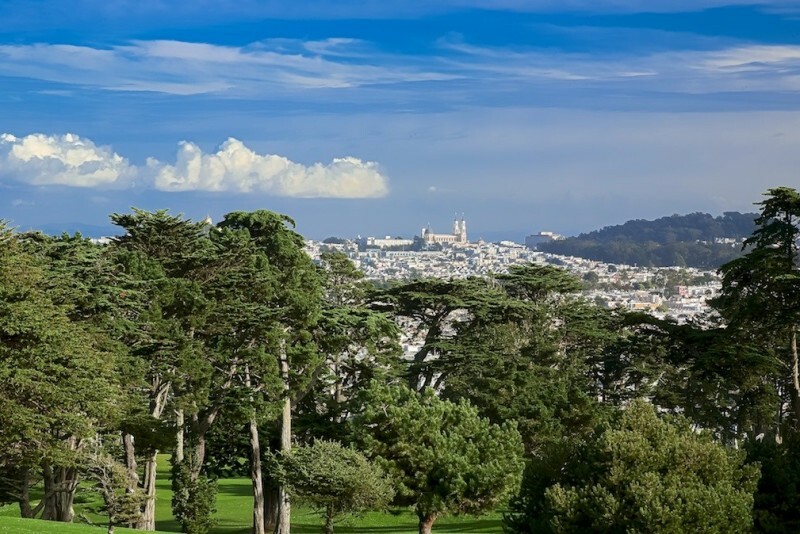 "Drop-Dead Views (of Ocean, Greens, and Art)"
Few San Franciscans think of Lincoln Park as much more than an 18-hole golf course and the home of the city’s pre-eminent Old World art museum, the California Palace of the Legion of Honor. But it’s more, and the lucky few who live on its borders know it as a place of unparalleled views, great hiking and biking, and a chance to reconnect with what remains of the wild, natural coast of California. 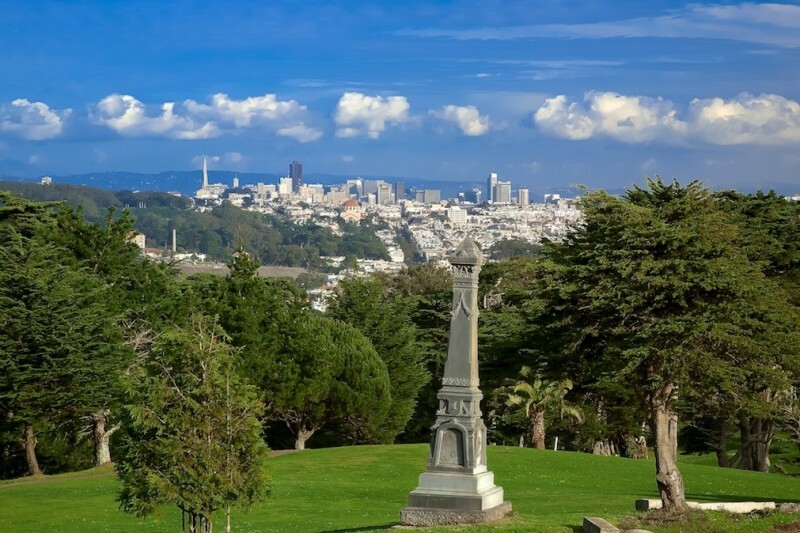 The area that stretches for about 100 acres on San Francisco’s northwest is mostly golf course, laid out as such in 1902 on what had been a cemetery called Potter’s Field, in use by various ethnic communities in San Francisco since the mid 1800s. The original plan, schemed up by local golfers Jack Neville and Vincent Whitney and approved by renowned public parks manager John McLaren, featured a three-hole course on a windswept bluff with few trees. The course, free to the public, proved so popular that by 1909, the city’s Board of Supervisors passed an ordinance to relocate the remaining graves and expand the course by three more holes. In the process, the supervisors renamed the park after President Abraham Lincoln and ultimately approved expansion plans that resulted in the course becoming a full 18 holes by 1917. In the early 1920s, McLaren enlisted Herbert Fleishacker, another steward of San Francisco’s parks, to help transform the course into a test of a golfer’s ability. Together, the two replotted the course, added dozens of trees (including the park’s signature Monterey cypresses), and oversaw the building of a clubhouse, which opened in 1922 and still operates today, with a pro shop and the Lincoln Park Bar and Grill, with its simple menu and low-priced beers and other drinks. 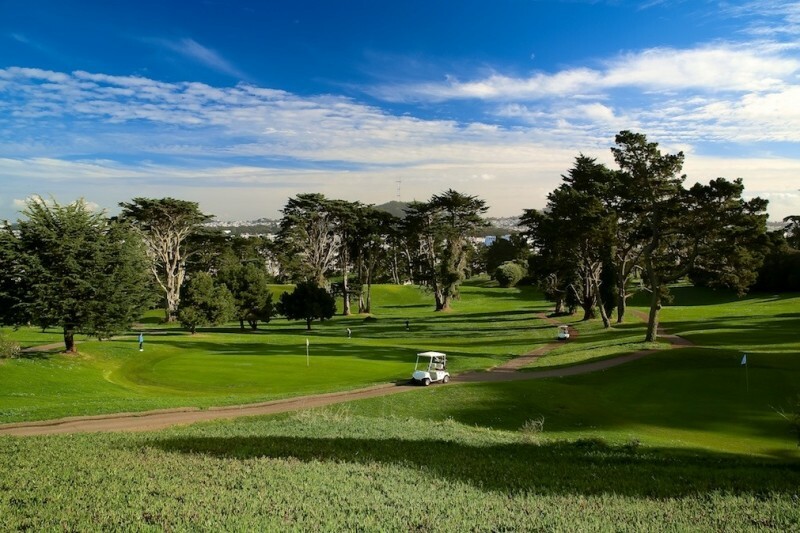 Though many golfers find the greens a bit scruffy, the green fees at this municipally owned and operated course are low and it is still one of those used for the annual San Francisco Golf Championships. 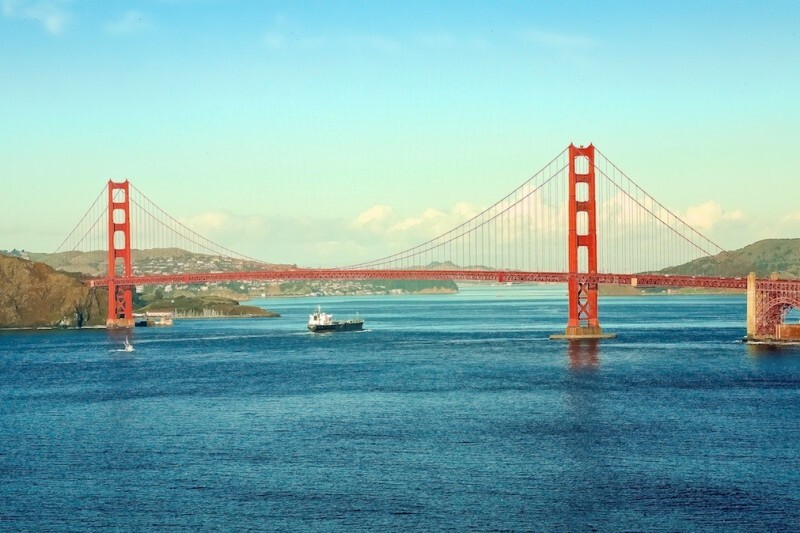 Few would complain about the views, which from the various holes give impressive ocean vistas and stunning perspectives of the Golden Gate Bridge and, farther east, downtown, which glistens in the distance, almost seven miles away. One unusual (if not peculiar) feature of the park is the inclusion of a large hospital, the Veteran’s Affairs Medical Center, which was built in 1934 on land acquired in the late 19th century by the federal government for Fort Wiley, a battery/bunker from which to defend the mouth of San Francisco Bay. When the Army needed a site for a major veterans’ hospital in the early 1930s, it chose the land fronting Clement Street between 42nd and 43rd avenues. Though the original hospital consisted of a single main building with two large wings (all featuring art deco motifs), it has been expanded since the 1960s (when it established an affiliation with the University of California, San Francisco). Today, the hospital specializes in treatment of Parkinson’s Disease and movement disorders, as well as mental illness and post-traumatic stress disorder, epilepsy, hepatitis C, and HIV. It is the Veterans Affairs’ largest research hospital, and among the largest research hospitals in the country. Fort Miley lies just to the west of the VA Hospital. It’s no longer in use as a military post, its grounds having been transferred to the National Park Service in 1968. But a few structures remain to remind visitors of its importance as a defensive outpost of the bay and Golden Gate (especially during World War II, when San Francisco was vulnerable to attack via the ocean), including the ordnance storehouse (now used as a maintenance facility by the National Park Service) and Battery Chester, a cement fortification (now in disuse) that sits under some towering cypress trees and affords good views of Ocean Beach. If ocean views are on the agenda, then few better choices exist in the city than the Lands End Trail. This “trail” is actually a series of dirt paths, most of which skirt the cliffs and roughly follow El Camino Del Mar, the main street that cuts an arc across the northern end of Lincoln Park. You can join the trail at many points directly off this roadway, though many choose to begin at the USS San Francisco Memorial, where there’s a sizable parking lot. Many hikers choose the trail to the right (facing the ocean) and walk from there to Mile Rock Beach and the open, flat promontory that faces the Marin Headlands. Here, there’s a labyrinth created of stones by Eduardo Aguilera in 2004 that resembles a maze in a medieval church. Many hikers also plan their visit to see the shipwrecks off Mile Rock overlook. Bike riders can also access the trails, where permitted (some trails are too narrow and/or too steep and the National Park Service, which maintains the trails as part of the Golden Gate National Recreation Area, requires bicyclists to dismount). Among Lincoln Park’s most valuable manmade assets, at least in terms of art, is the California Palace of the Legion of Honor. Dedicated in 1924 as a memorial to California’s fallen in World War I, it is a replica of the Palais de la Légion d’Honneur in Paris (via the version on display at the Panama Pacific International Exhibition). 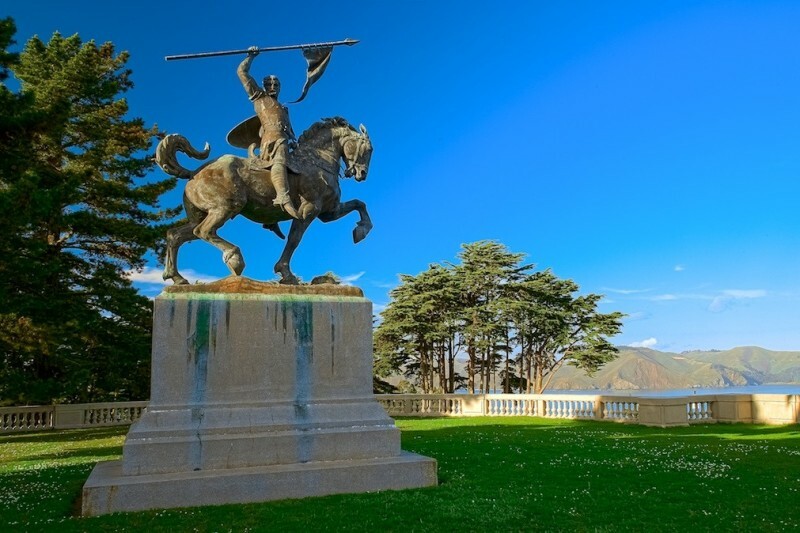 The museum, bequeathed along with some of its many treasures by the Spreckels family, sits on a grassy rise with a view of the Marin Headlands and surrounding ocean. The circular fountain and classical “U” layout of this Beaux Arts structure give the area a distinctly refined, stately feeling befitting a repository of some of the city’s most precious art treasures, including sculptures by Rodin and other French masters from the Belle Epoque, European painting from the 14th century on, antiquities from Greece, Italy, and the Far East, and a collection of 18th-century English and French porcelain that is the cornerstone of the museum’s European decorative arts collection. 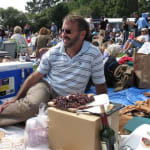 Travel to the park via public transit is via two bus lines, the 18 (a line that runs along the city’s western edge and terminates at the Legion of Honor on its northern end) and the 38 (which travels up and down Geary Boulevard and makes a loop through the VA Medical Center). Driving is another obvious option. Though parking immediately around the museum can be difficult, generally there are spots along El Camino Del Mar, as well as up and down Clement Street along the park’s southern edge. The city issues no residential parking permits for this area. Crime in the area is infrequent, if not rare. According to San Francisco Police Department statistics, there are occasional car thefts/break-ins, several disturbing the peace complaints, and the odd robbery committed in any three-month period. Assaults are also rare, and there have been no homicides for a number of years. Though there are no schools within park boundaries (with the exception of art classes and seminars at the Legion of Honor and golf lessons at the municipal golf course), one school—Katherine Delmar Burke School, or “Burke’s” as the girls who go there and their families call it—sits on the park’s eastern edge. Though not in the park or affiliated with it, bordering the park and having access to some of its open spaces is definitely a plus for this school, which caters to upper-crust San Franciscans, many of whom live in the adjacent Sea Cliff neighborhood. To shop or dine in the park, you have limited choices. There’s the Legion Café, in the Legion of Honor museum, which is open for breakfast (coffee and pastries) and lunch on days when the museum is open to the public. The museum also operates a gift shop, open during visting hours as well, offering not only souvenirs of its collections and traveling exhibits but also interesting related books and curios. If you want San Francisco souvenir shirts and caps, one option is the pro shop at Lincoln Park Clubhouse, which also has the aforementioned bar and grill. But for eating and spending, the best options exist in the adjacent streets and neighborhoods of the Outer and Central Richmond districts. Lincoln Park offers an escape from the city, and that makes this area happily free of a commercial zone. 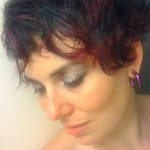 You come here for the air, the art, the greens, and the trees. These alone make it a worthy destination. Most people know the Point Lobos/Lincoln Park community for one thing: The Palace of the Legion of Honor. Perched at the top of Lincoln Park and overlooking the prestigious neighborhood of Sea Cliff, the Palace was built to honor Californians who died in France during World War I. It is used to showcase many great art collections, like Georgia O’Keeffe and Robert Rauschenberg. Park trails are great for long walks and exploration. Trail goers along the path at Land’s End will be treated with incredible views and a series of alarming yet exciting warning signs with messages like, "Danger: People have fallen from these rocks and drowned." Stop by Louis’, a family-run diner that offers traditional diner food and the same views you would get at Cliff House, but expect long lines as the great prices bring out locals and tourists alike. 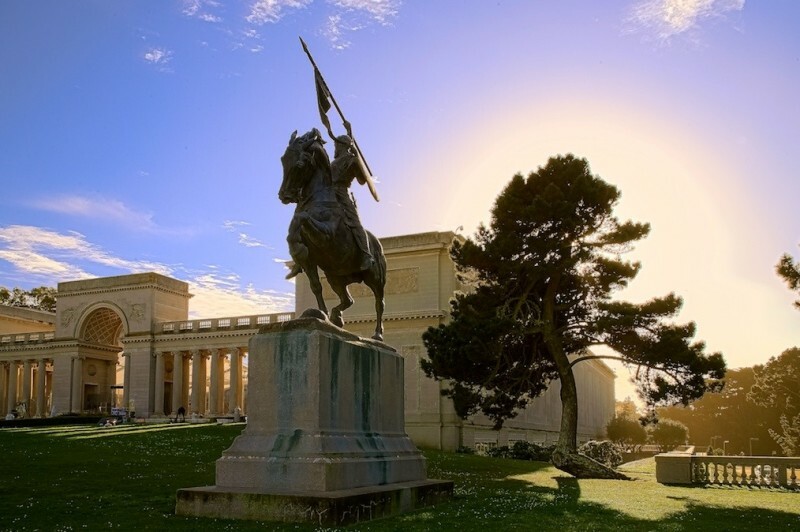 "Simply Amazing Part of the City"
The California Palace of the Legion of Honor is simply not to be missed. If you can catch the view when the fountain is on, I highly recommend it. Even if you can't go inside, the space is magnificent, including the view. This is not just a great destination for biking, but also a fun date spot -- day or night. If you're a bike rider, this area of town is completely lovely, though not without it's challenging hills -- great for training for the AIDS ride though.